Who are you to hold a grudge against someone for what God has already forgiven them for? I heard this question on the radio last week and it struck me to the very core of my soul. People hurt and mistreat us. They don’t deserve our forgiveness. But God has forgiven them through the salvation of Jesus Christ. When Jesus forgave you He also forgave them. In His sight their sins are forgiven just like yours. Are you higher than the Lord? Of course not. Whatever anyone has done to you; you must let it go. We all need time to get over things, but you must move on. Jesus is the ultimate leader. He never asks you to do anything He hasn’t done Himself. He has forgiven them and He has forgiven you. You are called to let His love flow through you. God has provided forgiveness for all. Are you better than anyone else? Good reminder, H.C. Sometimes, we need His grace to help us forgive. He is strong when we are weak. 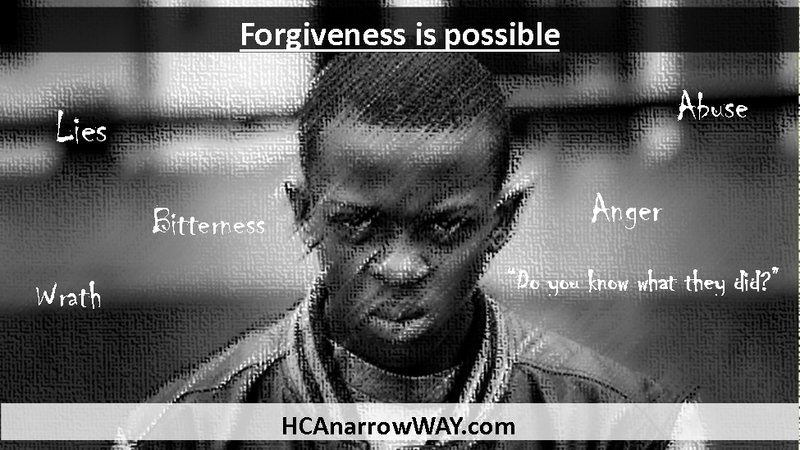 Thank you Brother H. C. Forgiveness is against human nature. Repaying evil for evil, and sometimes evil for good is the way of the world. I walked that way too many years. I choose to be a loving and forgiving servant of Jesus. Blessings and the undisturbed peace of Jesus, the Christ, to you.